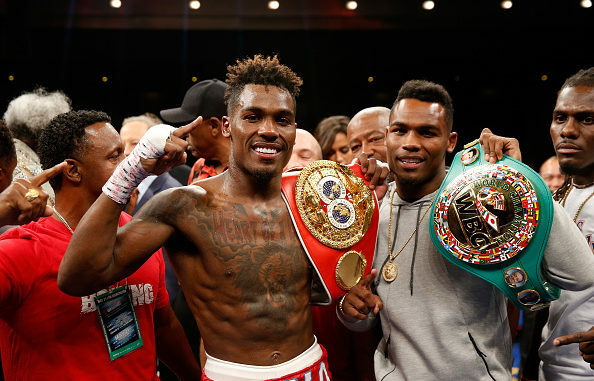 You remember the December night in 2016 when Jermall Charlo stepped into the ring at the USC Galen Center in Los Angeles for what was expected to be the sternest challenge of his career. You remember too what hype surrounded his opponent, Julian Williams. Many envisioned the unmaking of a talented but mostly unremarkable fighter that night, a fighter distinguished primarily by how indistinguishable he was from another junior middleweight. You remember all of this, of course, for what happened in the fifth round, when Charlo landed an uppercut whose impact sent the fighters hurtling on different career trajectories. What about the night at Barclays Center in Brooklyn last October, when Jermall’s twin brother, Jermell, crumpled Erickson Lubin? 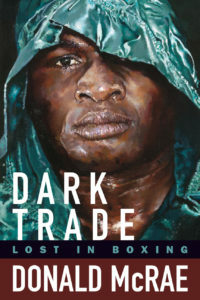 You remember that, too; how the talented Lubin went quickly to his end, the victim of a first-round uppercut that snatched away more than his senses. You remember these moments because of their violence, of course, but also because of their promise. Boxing isn’t professional wrestling, and what success the Charlos had achieved by the time they hammered out their signature victories was not the product of a gimmick designed to manipulate the reactions of an expertly diagnosed audience. The Charlos could fight. Moreover, they could at times—though too infrequently—do so with a prejudice befitting their profession. Williams and Lubin were not beaten; they were destroyed, humiliated, left silent thereby. However easy the mind moves toward questions of rank, the question the Charlos encouraged one to consider was not how good the brothers were so much as which matchups would best furnish that answer. Because were the Charlos to synergize their malice and talent as they did against Williams and Lubin, respectively, the outcomes of their fights would be a secondary concern. And in a fractious and fractured business isn’t the promise of a little well-spilled blood reason enough to get excited? It is likely, however, that those aforementioned memories have become somewhat bitter. Why? Because you feel a bit sheepish about that excitement, maybe a little duped for expecting it to be validated. The twins return to action at Barclays Center on December 22, co-headlining the first card of Premier Boxing Champions’ multi-year deal with Fox. Jermall, who moved up to middleweight after the Williams fight, will defend his WBC layaway title against Willie Monroe, Jr., while Jermell defends his WBC junior middleweight trinket against Tony Harrison. This is not a showcase card, or at least not quite. Monroe had a moment or two before getting stopped by Gennady Golovkin, and went the distance with Billy Joe Saunders; he should provide some clarity on the question of where Charlo stands in relation to the best of the division. Harrison, meanwhile, is skilled and dangerous enough early to make a fight of it before fatigue puts him on borrowed time. But neither Monroe nor Harrison are the caliber of opponent either Charlo was supposed to be facing when the swell of enthusiasm for the brothers was at its crest—and really, much of the intrigue surrounding the December card owes to how little has happened for the Charlos since then (so why not let a coin toss hand Jermall the main event?). Jermall has fought but twice since beating Williams. Last July, in his first fight at middleweight, he stopped an injured Jorge Sebastian Heiland in four rounds, then blew away Hugo Centeno, Jr. in two rounds in April. This was smart matchmaking at the time, perhaps, because the Heiland win secured Charlo a spot as Golovkin’s mandatory challenger; while the Centeno win allowed him to hold that position while picking up a title (of sorts). But neither fighter represented a challenge, and considering the ease with which they were dispatched, neither fighter necessitated Charlo’s taking eight months off in the aftermath. Heiland, Centeno, and Monroe make for a respectable year of activity as the popularity of Golovkin slows. But longer than that and collective interest wanes. Only one fight separates Jermall from his win over Lubin: a monotonous twelve-round decision over faded Austin Trout, who had lost two in a row before facing Charlo, including the first stoppage defeat of his career at the hands of Jarrett Hurd. This version of Trout is an awkward but adept survivalist, and only a freakish size and power advantage allowed Hurd to finally cut him down. But enthusiasm for the Trout fight was low when Charlo took it, and it is a testament to the value of activity to see how Charlo’s stock dipped when Trout took him the distance. A win over Trout still rates, but it cannot be the only one you have in eight months—especially if you wish to sell Harrison as an opponent another eight months later. Who is to blame for the inactivity and matchmaking? That question has no real value because the answer offers no real consolation. Nor is there much stomach for excuses. Defending Jermall by pointing to the forgettable opponents Golovkin put away in his campaign for “all the belts” is only an implication of guilt—whataboutism, of course, is no defense. Even the torn rotator cuff that sidelined Hurd in June, pushing further back a fight between him and Jermell, only serves to highlight what isn’t happening in the ring. Besides talk of the future from either man—and both have the opponents to make that future compelling—there is mostly talk about contracts, venues, and networks being squared away. Rarely does there seem to be any urgency in that squaring. Except that isn’t entirely the case right now, is it? Indeed, if aficionados are short on patience it is at least in part because the fights people want to see are actually getting made. The World Boxing Super Series has produced an undisputed cruiserweight champion, Oleksandr Usyk, and did so in ten months, as well as a unified super middleweight champion, Callum Smith, in barely a year despite injuries to participants. It will soon crown a super bantamweight champion and a junior welterweight champion, each in less than a year. Outside of the WBSS, Deontay Wilder and Tyson Fury are set to determine the number-one threat to Anthony Joshua, and Saul Alvarez, fresh off two fights with Golovkin, has inked the richest contract in sports history, signing an eleven-fight $365 million dollar contract with DAZN on the strength of his popularity but also his track record—he will make the perilous fights DAZN asks for. There is a paradigm shift occurring, particularly in how people watch boxing; and with that shift, expectations are changing. It is no longer enough to be the HBO middleweight champion, the Showtime heavyweight champion, the Top Rank welterweight champion, or even simply a pay-per-view aspirant. Because the more fights get made, the less a fighter matters for not participating in them, and the less the old excuses hold water. For now, though, the future looks good, and there is a role in it for the Charlos. But they have to return to that future the way they first entered it.